Obsolete 02/2017. 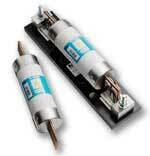 The SPFRHD series is specifically designed for 1000 VDC SPFR fuses ranging up to 400 A in current. It is UL Recognized to 1000 VDC.